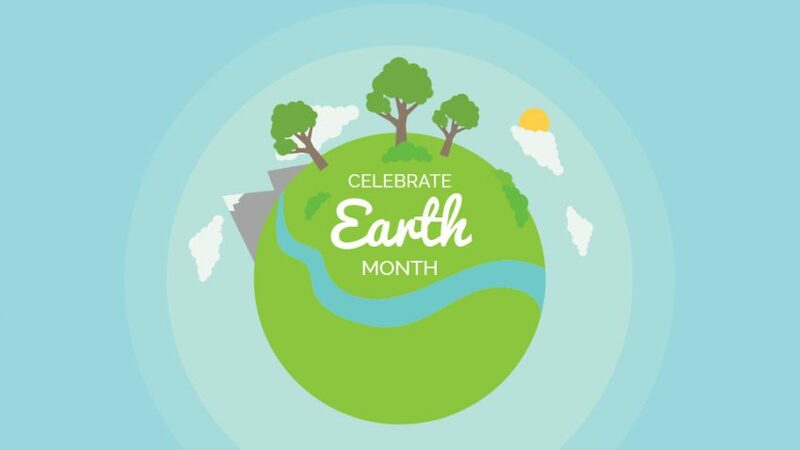 Montgomery County is celebrating Earth Month with eco-friendly activities and special events throughout the month of April. From festivals to film screenings to cleanups to nature hikes, there are plenty of opportunities to get involved. Looking for an opportunity to clean-up your community this Earth Month? Montgomery Parks’ Volunteer Services Office is also collaborating with several regional organizations, including Friends of Sligo Creek, Rock Creek Conservancy and the Little Falls Watershed Alliance, to organize approximately 100 park and stream cleanups and six Weed Warrior workdays throughout the month of April. Students, adults, friends and families are encouraged to participate. Montgomery Parks is proud to partner with GreenFest and the DC Environmental Film Festival to present three documentary screenings in April at Brookside Gardens. These environmentally themed films are offered as part of Earth Day educational activities, and lead up to GreenFest. Montgomery Parks will cap off Earth Month with GreenFest at Brookside Gardens on April 28. This year, Brookside Gardens has combined its annual Earth Day Festival with GreenFest; one of the premiere environmental festivals in Montgomery County, MD. The event features a green craft fair, native plant sale, community art project, lectures by industry experts, family activities, an interactive electric car display, live music, and food trucks. For more information on Earth month activities or green awareness year round visit My Green Montgomery. 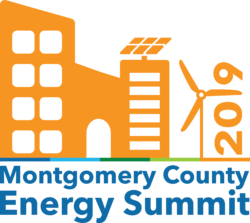 For the past five years and counting, the Montgomery County Energy Summit has annually offered cutting-edge education focused on the latest trends in commercial energy efficiency, renewable energy, and related topics in Montgomery County. Visit mcenergysummit.org for the latest updates. 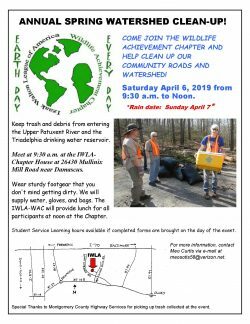 Celebrate Earth Month and the city’s 30th year as a Tree City USA with a ceremony and tree planting at 10 a.m.
Join the Wildlife Achievement Chapter-Izaak Walton League near Damascus in cleaning up our community roads and watershed. Keep trash and debris from entering the Upper Patuxent River and the Triadelphia drinking water reservoir. Wear sturdy footgear that you don’t mind getting dirty. Water, gloves, bags, and lunch at noon provided. Student Service learning hours available if completed forms are brought on the day of the event. Part of the Rockville Speaker Series, A presentation by Mark Charles, chief of Rockville’s Environmental Management Division. Learn more at bit.ly/PeerlessEarthMonth2019. 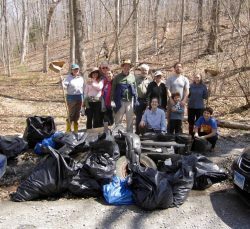 Annual Potomac River Watershed Cleanups • Croydon Creek Nature Center, 852 Avery Road, 9 a.m.–noon. (No registration required.) • Twinbrook Community Recreation Center, 12920 Twinbrook Parkway, 9:30-11 a.m. • Maryvale Park, 812 First St., 10 a.m.-noon. Email environment@rockvillemd.gov to register. Head to Saints Row Brewing after the cleanups for a Stream Cleanup Meetup from noon-2 p.m. Family-friendly and open to all. Food onsite. Beer specials for volunteers over 21. Rockville City Police Station, 2 W. Montgomery Ave.